Made for machines fitted with 1/4 yd Wain-Roy couplers. 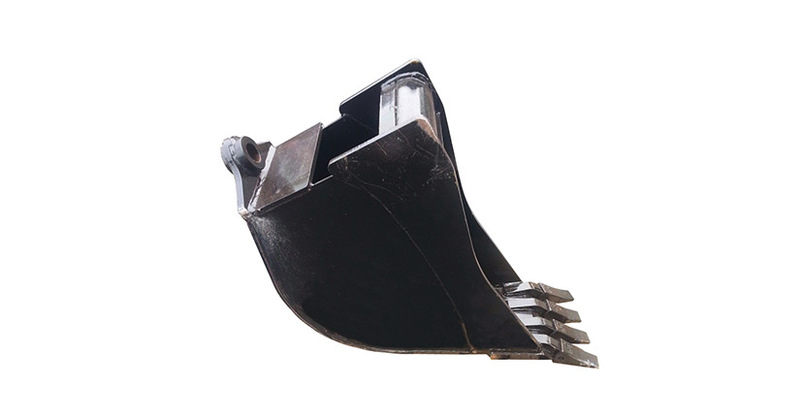 Bucket features durable construction with AR400 steel cutting edge and beveled AR400 steel side cutters. Design offers abrasion resistant double bottom and full curve side wear pads. Optional 4-bolt side cutters and extra pins are available. CAT-style teeth standard, Hensley or Esco available for nominal fee.